Besides the usual preoccupation of plot, character and pacing, the other deep pleasure for many people when watching a film or a television series is the consummate display of wardrobe craft onscreen. Whether it be Nicole Kidman in her show-stopping, ostrich-plumed pink diamonds number in Baz Luhrmann’s Moulin Rouge, the iconic trenchcoats and green-toned, frayed and dropped-stitch knits in the Matrix, or the playclothes made out of curtains in the Sound of Music, the best of wardrobe design do more than set the scene. At their most successful, they lend an unquantifiable something, and become, like place and setting, an extra dimension in the storytelling. Recall the film adaptation of Kazuo Ishiguro’s Never Let Me Go, where the muted, sombre grey knits of the young children’s clothes spoke volumes about their impending fate. If you’re anything like me, you may remember knitterly items better than any plot or title; my recent favourite hat, for instance, was worn by Diane Kruger in a film I stumbled across late one night (and whose name I’ve shamefully forgotten). Then there was that amazing aran sweater that Cameron Diaz wore in the Holiday. Keira Knightley consistently gives good knits on film, whether it be the mohair cowl she wears in Love, Actually to the green-and-cream cardigan in the Imitation Game. It’s been fun researching this story to see what people remember of their favourite knits onscreen. Starsky & Hutch and that iconic Cowichan cardigan rates pretty highly. Perhaps the most recent viral knit of recent years comes from The Killing’s Sarah Lund, a detective in the Copenhagen Police Department. The jumper that Sarah wears on the show is so popular, it even has its own website. You can buy one from Guðrun & Guðrun, the Faroese knitwear company that sells it, or make your own. Here’s a pattern that is knit as a top-down seamless raglan. 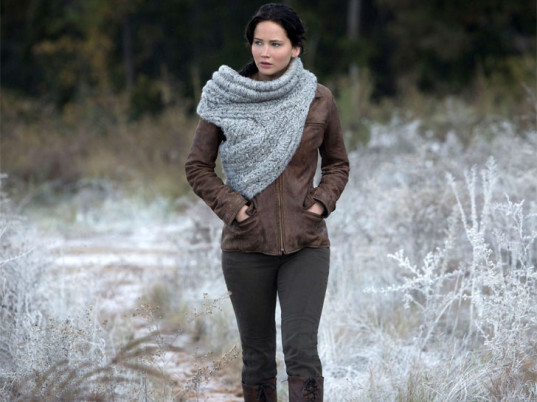 Suzanne Collins’ Hunger Games series features Katniss Everdeen, and in the film sequel Catching Fire, she wears a fabulous one-armed cowl over a leather coat. Created by American knitwear designer Maria Dora for the film, the part-shield, part-vest is big, chunky and nubby, and looks like it was knitted out of roving in a herringbone-type stitch. Ravelry has interpretations of it. 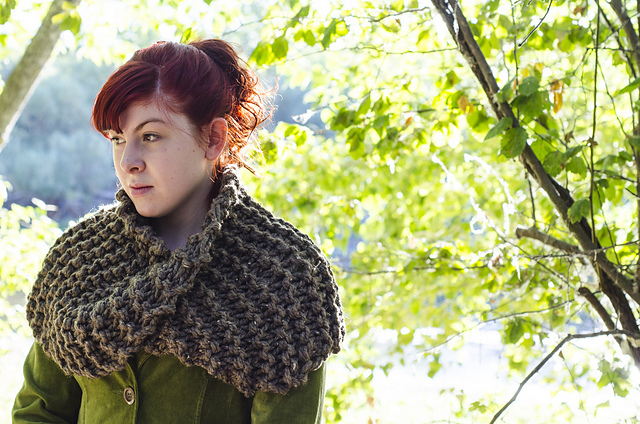 Inspired by the cowl that Claire Randall wears in the hit series Outlander, Kalurah Hudson designed this oversized, super stretchy garter-stitch cowl. 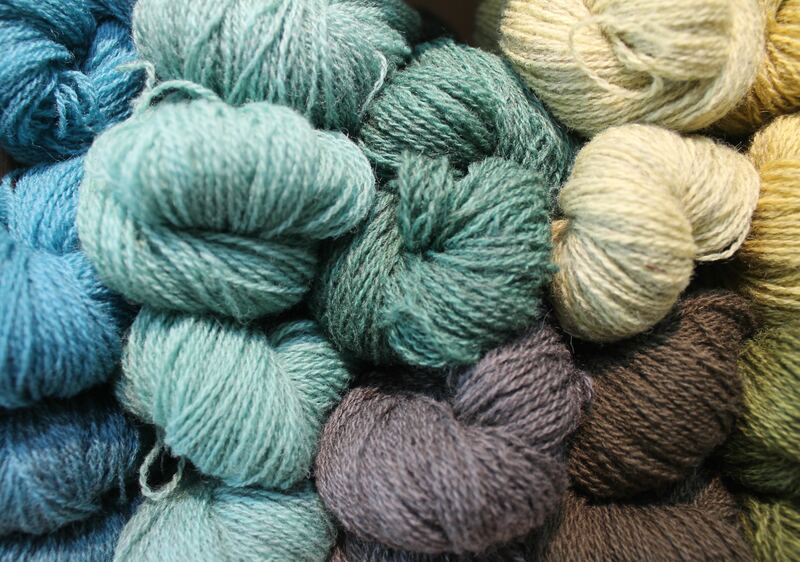 There are others around on Ravelry, so have the big – 19 mm, 25 mm needles – ready. And yes, there’s a pattern for the capelet too. How can we talk about knits on screen without mentioning Dr Who? 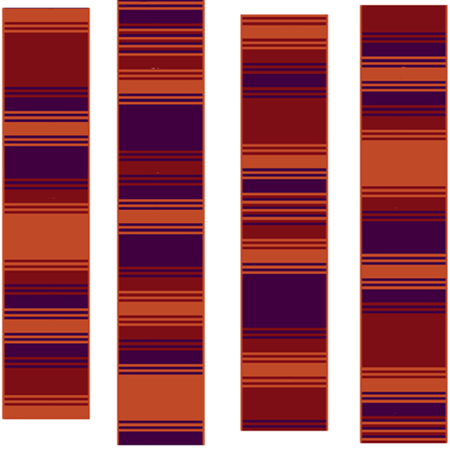 There are websites dedicated the recreating the authentic Doctor Who scarves, season by season, so pick your favourite. Can you tell which season this Who scarf came from? Finally, someone has counted – and ranked – all 118 sweaters on 1990s cult series Twin Peaks. Enjoy. 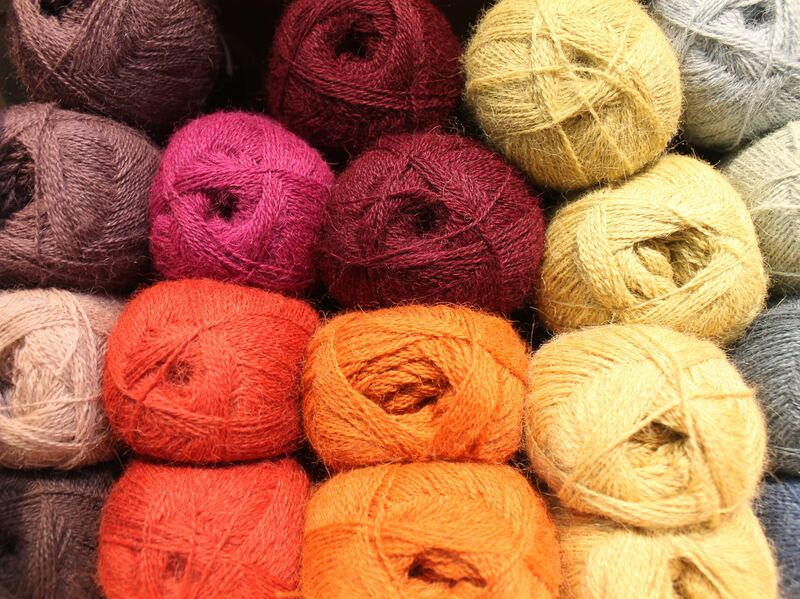 The shop is full of yarn, glorious yarn from Isager, Debbie Bliss, Rowan, Cascade, Cleckheaton, Zara, Jo Sharp, Debbie Bliss, Shibui, Shilasdair, Misti Alpaca, Noro and more. If you cannot decide, we have gift vouchers. We still have spots available in some forthcoming classes on double knitting, stranded colourwork, steeking, crochet and lace. For the mum who has everything, perhaps some evening classes, convivial company and a chance to learn new skills? Finally, if there are particular stories you’d like to see covered on the blog (e.g. book reviews, yarn reviews, patterns, techniques), please let us know in the comments below. We’d love to know what you think! 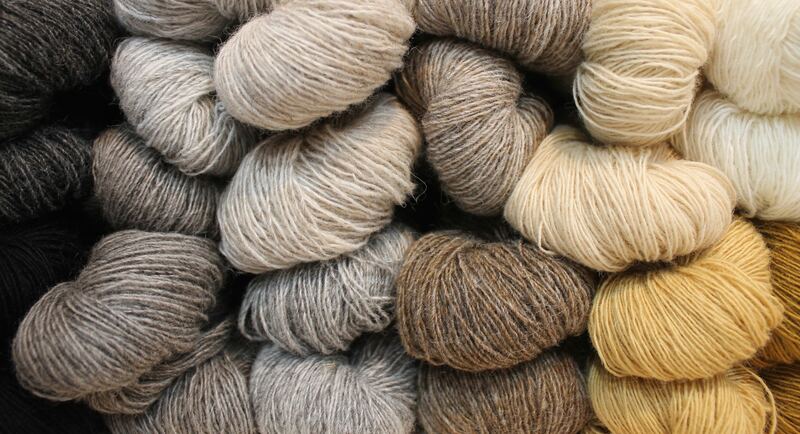 Categories: Classes, Knitting, Yarns | Tags: Dr Who, Hunger Games, Killing, knits on film, Outlander | Permalink.